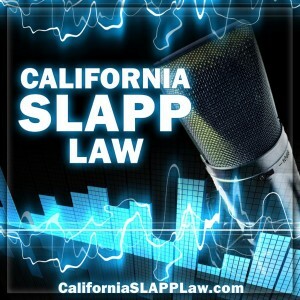 On Episode 19 of the California SLAPP Law Podcast, we go through my five favorite reported anti-SLAPP decisions from the first half of 2016. Then, we turn to the five best published anti-SLAPP decisions from the first half of 2016. The bold cases are the top five; the non-bolded are other cases I discuss as well. Another cautionary tale, this time of an attorney who followed the old adage, “the best defense is a good offense.” He tried to intimidate an attorney from seeking his legal fees, and bought himself a malicious prosecution action in the process. You’ll learn a lot about malicious prosecution actions and under what circumstances they can survive an anti-SLAPP motion. Speaking of malicious prosecution actions, this is the seminal case. Speaking of over-pleading, our second case is Karnazes v. Ares, decided by the Second District in January of 2016. In this case, the plaintiff alleged 22 – count em – 22 causes of action against the defendants. Karnazes lost to an anti-SLAPP motion, but made some interesting arguments in opposition to that motion. Are political bribes protected by the anti-SLAPP statute? 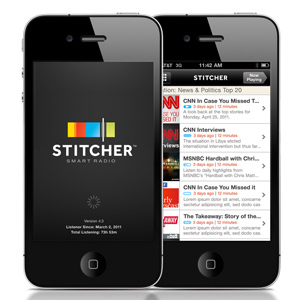 Listen to find out (and the answer will likely surprise you). And find out how you can support an anti-SLAPP motion with declarations without using declarations. It may look like litigation, and it may quack like litigation, but that doesn’t necessarily make it litigation for purposes of the litigation privilege and the first prong of the anti-SLAPP analysis. Yet one more action against an attorney; in this case an attorney who was so proud of his firm’s trial victory that he published a press release and bought the firm a defamation action. It was a split decision. And finally, in the after show, I provide an appeal tip that might save you from some embarrassment.